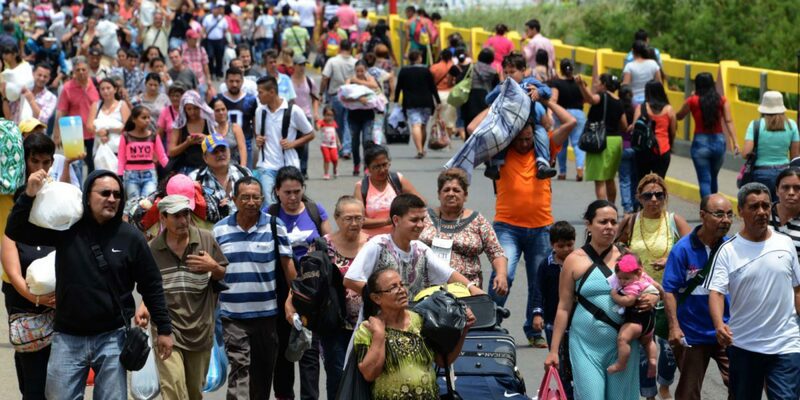 Over 2.3 million Venezuelans have left home since 2014 due to government repression, and hyperinflation causes food and medicine shortages. Venezuelans are living through an extraordinary humanitarian catastrophe. Deprived of adequate food, medicine, power and water, subjected to a terrifying epidemic of violent crime they are fleeing their country at the rate of an estimated 5,000 per day. The movement of refugees has been described as one of the largest in Latin American history. About 75% of a population of 30 million, has lost an average of 19 pounds. The shortage of food and medicine is not the only concern for JRS, the food crisis has also created an education crisis, as more than 1 million children no longer attend school, mostly due to hunger and a lack of public services. About 30 percent of students who now stay home do not attend school because of water problems at home or on campus, 22 percent do not attend because of electricity blackouts and 15 percent do not attend due to school strikes.